Dry skin care treatments must be used when necessary to prevent dryness from robbing skin of its natural beauty and in order to maintain skin in good health. It is likely that most people have at one time experienced a dry skincare problem to some degree either on their hands, face, or other parts of their body. However, how common is this problem? Do we really have to be concerned about dry skin care? Twenty percent of the population suffers from a dry skin problem. That is one in five people and so, yes, dry skin is quite common. Depending on which part of the world you are from, this percentage may even be greater. It is a non-specific condition, affecting people of all ages. It is not solely a problem associated with skin aging. Most people tend to ignore or not realize they have dry skin and this leads to the worsening of the condition. How do you know you have dry skin? Well, generally the same symptoms occur in people and this makes it easy to diagnose. The signs are usually obvious. However, the level of severity can differ substantially. For more information on the signs of dry skin, visit the dry skin symptoms page. If you suspect you have a dry skin problem then the next logical question is how did this happen to my once healthy skin. There are a number of reasons why your skin has become dry and the dry skin causes page some information. Fortunately, dry skin (also known generally as xerosis) usually is not a serious problem and for the most part can be controlled simply by being aware and using proper dry skincare products. Prevention is your first weapon. Tips for preventing a dry skincare problem can be found here. Following these recommendations is a must if you want to keep you skin healthy, but as we all know, we do not live in an ideal world. Sometimes our day-to-day demands prevent us from practicing dry skin prevention and next thing you know, your skin is dry. For minor symptoms, there are many effective dry skin care treatments and dry skin products. These can be pursued without doctor’s advice. For information on an effective moisturizer product for dry skin, please visit this page. If you would like information on a soothing dry skin lotion product specific for the dry skincare of the hands and feet, then please visit this lotion page. For chronic or severe symptoms or for diseases such as eczema, psoriasis, or contact dermatitis or if you are generally concerned, you should contact a dermatologist for some professional skin care. 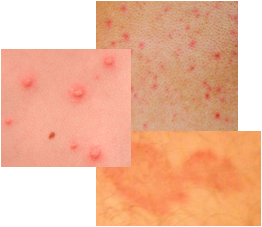 A dermatologist can perform a full diagnosis of your condition and prescribe more aggressive/effective treatments. Dry skin is a common problem for many individuals and lifelong battle for some. However, avoiding the causes and taking notice of the symptoms are essential in controlling this skin care. Many dry skin care tips and dry skin treatments can be used to restore your dry skin to the healthy state it needs to be for overall good health.